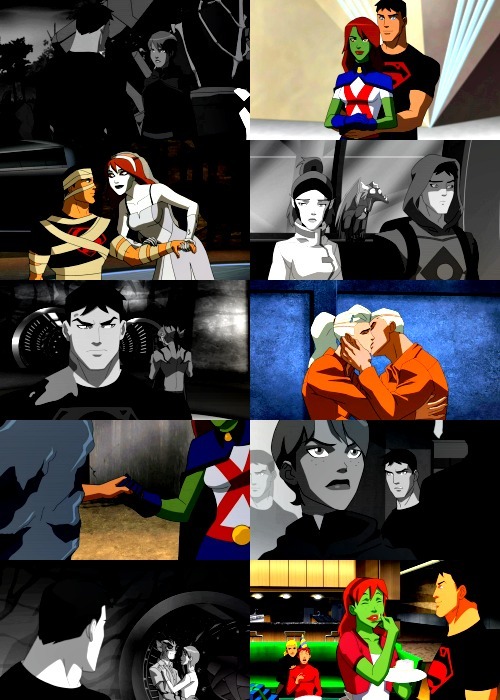 superboy and miss martian. . Wallpaper and background images in the Young Justice club tagged: young justice. This Young Justice photo might contain anime, comic, manga, cartoon, comic buch, karikatur, and comics. How could Du think I wouldn't recognize your touch inside my mind?